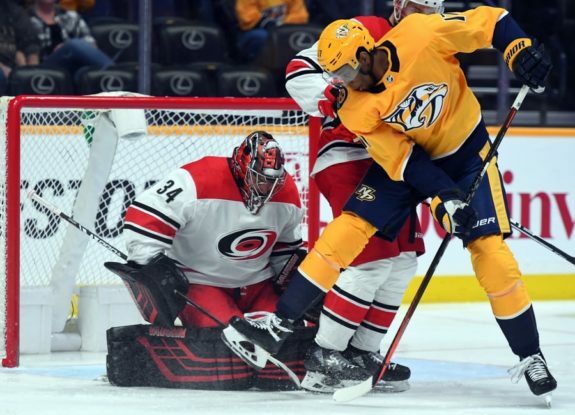 Fresh off Wayne Simmonds’ first goal with the Nashville Predators, he must feel like a huge weight has been lifted off his shoulders. Truth be told, it’s just a slight reprieve. With just two points in nine games since his trade-deadline acquisition, Simmonds simply isn’t doing what has been second nature to him his whole career: score. Up until this season, he had been the epitome of consistency, effectively good for at least a prorated 50 points over an 82-game season since the last lockout. And the season before, he had 49. So, it stands to reason the Predators were hoping for more from Simmonds, their prized trade-deadline acquisition. For example, Simmonds is getting 14:15 of ice time on average with the Predators. That’s closest to Austin Watson and Brian Boyle. Boyle has three goals in the nine games since the deadline. Watson had been receiving treatment for substance abuse only to just be reinstated. However, in his last nine games, he had five points. Neither player has the offensive resume as Simmonds, which only underscores his failings. Simmonds is also getting just 1.44 shots per game with the Predators, when his career average up to last season was 2.24. At his peak, in 2016-17, it was over 2.8, indicating he’s on the decline, even if he’s just 30 years old. On the plus side, Simmonds had been acquired to help the power play, and there’s been some statistical improvement there. It currently ranks at No. 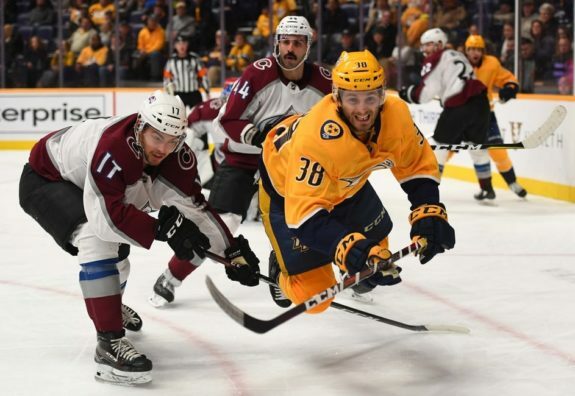 30 in the 31-team league with 13.0 percent, but since his acquisition the Predators have scored four times on 20 occasions for a decent 20 percent. It’s hard to give too much credit to Simmonds though, seeing as neither of his two points came on one of those four goals. 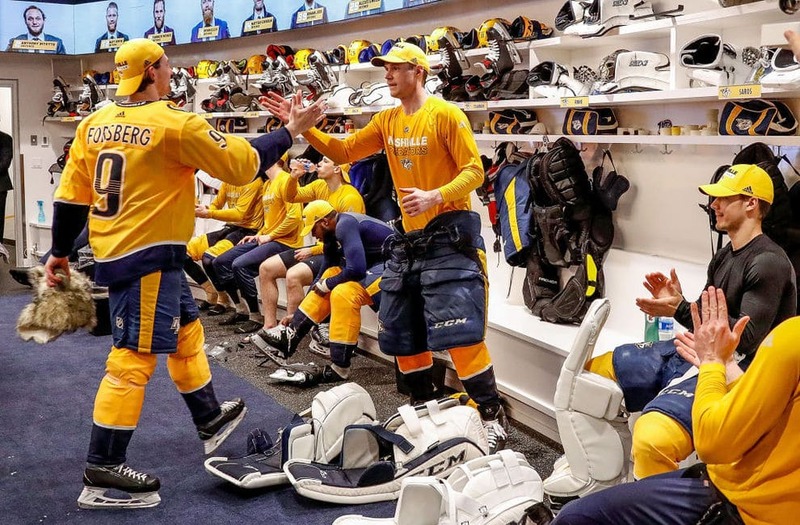 In fairness, he was on the ice for one of them: one of the two power-play goals the Predators scored against the lowly Anaheim Ducks, who boast a mediocre 79.0% penalty kill. In any case, it’s not enough. Some may argue the point totals don’t matter. They might say Simmonds is still doing a lot of the little things right and that the Predators acquired him to be a presence in front of the net. The fact of the matter is Simmonds is struggling to fit in and the Predators can get a big body and no points from just about anyone else at a fraction of the cost. Hell, in Ryan Hartman, the player they gave up with a conditional fourth-round pick to get Simmonds, they had someone known for his grit. In spite of his smaller stature (6-foot-2 vs. 6-foot), he gets under the skin of opponents and that can be invaluable. His production is meanwhile only slightly worse than Simmonds’ 29 points on the season. Plus he’ll only be a restricted free agent at the end of the season, whereas Simmonds will be unrestricted. 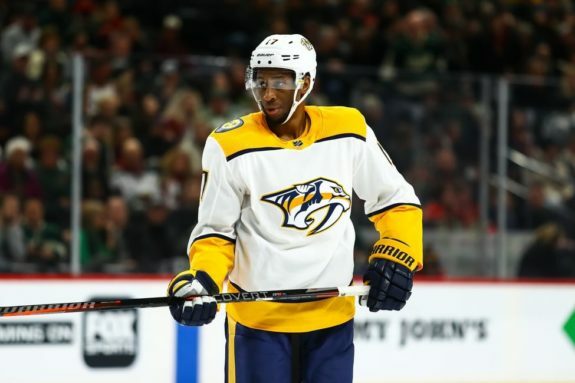 If you take into account what general manager David Poile gave up for Hartman at last year’s deadline, it becomes clear the Predators are hoping for more out of Simmonds. Add it all up and Simmonds was worth a first-round pick, two fourth-rounders and prospect Victor Ejdsell (with a fifth-rounder coming back from the Chicago Blackhawks). Up until this season, Simmonds was probably and justifiably seen as one of the NHL’s biggest bargains with a $3.975 million cap hit. However, that can’t be the case if he is struggling to get to 30 points in a season. So, maybe it’s a blessing in disguise that he’ll be unrestricted. After all, assuming Simmonds will be looking for a payday, which is his right in what will be one of his last opportunities to cash in, chances are good he won’t be worth it. Consider the fact that some players use their contract status as motivation to up the production. It’s telling that Simmonds can’t. It’s perhaps a bad omen with the playoffs looming. That isn’t to suggest Simmonds won’t be able to produce come the playoffs, but, in his career, he’s merely a 0.5 point-per-game player come the spring. For most players, that would be a decent clip, but it has to be disappointing for Simmonds to have scored just eight goals in 42 games. He’s better than that, or at least he was. That much we know for sure. 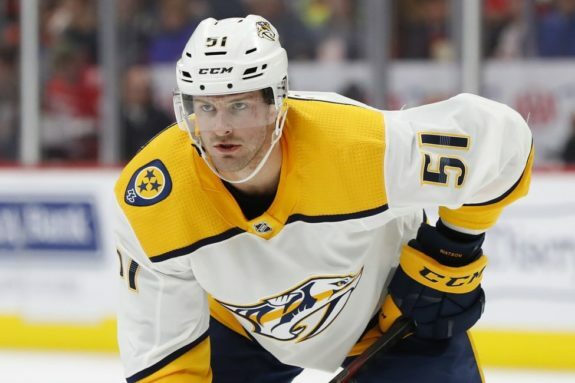 With the Predators a shoo-in for a playoff berth, he’s got the opportunity to prove the doubters wrong and rewrite history, as victors often do. No one will be complaining about Simmonds if the Predators, who are just 5-4 in his nine games with the team, go on a long run. The monkey may be off his back, but the marathon is just about to begin. Subscribe to Our FREE Predators Newsletter! We'll drop our Predators stories into your Inbox a few times a week. Be the first to know.